Consciousness is one of the top puzzles of modern science and philosophy. Everything we study in science is objective and has physical properties, but consciousness seems to be an exception. It is subjective, it feels like something to be conscious. Each conscious agent has private, privileged access to his own inner experience which is not available to others. A person can report his pain, but we cannot see his pain and analyze it like a material thing. But mysteriously still, the mental and physical can interact, we can tamper with consciousness by tampering with a person’s physical brain. The great mystery has me hooked for quite some time and I have been reading books by leading philosophers like Dennett, Thomas Nagel, Chalmers and Searle. This course is a bit different, more scientific than philosophical. It is a short introduction to the biology of Consciousness along with a brief primer about Integrated Information Theory. 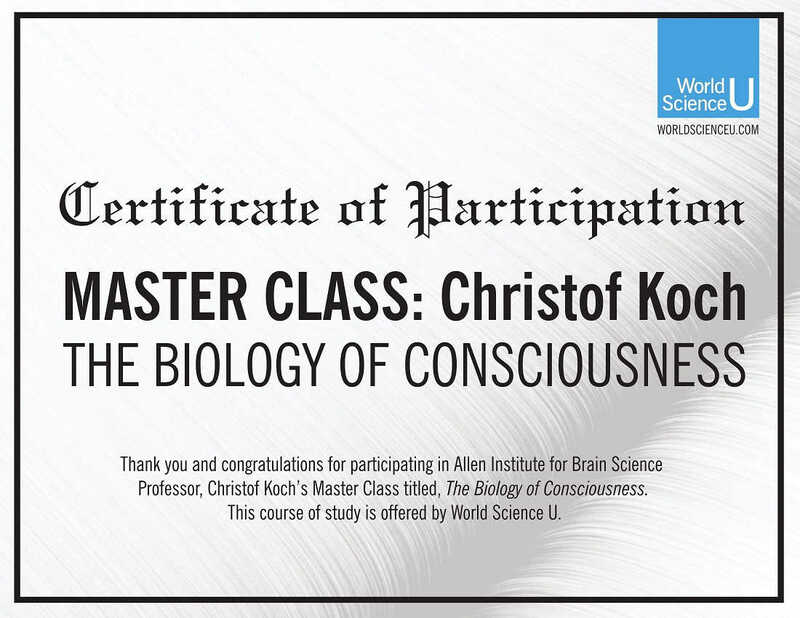 The course, called Master Class, is offered by World Science U. I am a big fan of the content they offer, in particular, on Physics. The quality of their courses with animations and interactive content is just amazing. Why is consciousness a mystery to modern science?